← It’s cold in here, but the chickens are colder. The heat was fixed on Monday. And Tuesday morning it snowed—a little. 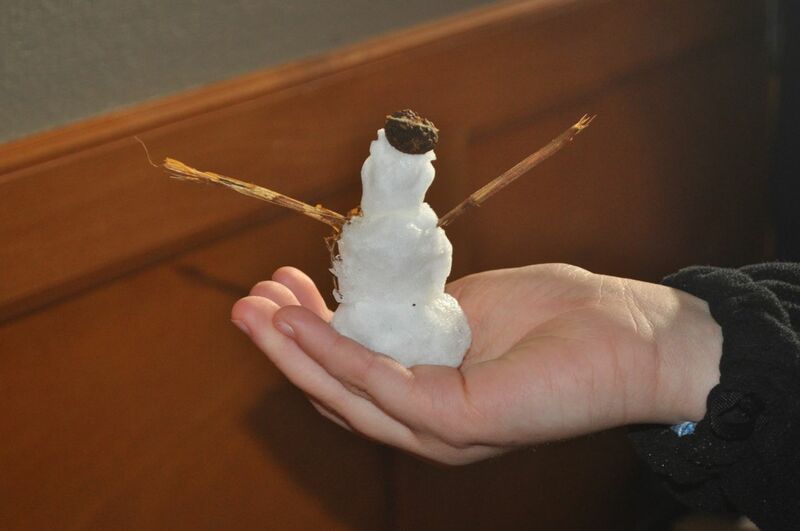 And so the girls made a little snowman. This entry was posted in House, Snow. Bookmark the permalink. Cute. We have had snow also.